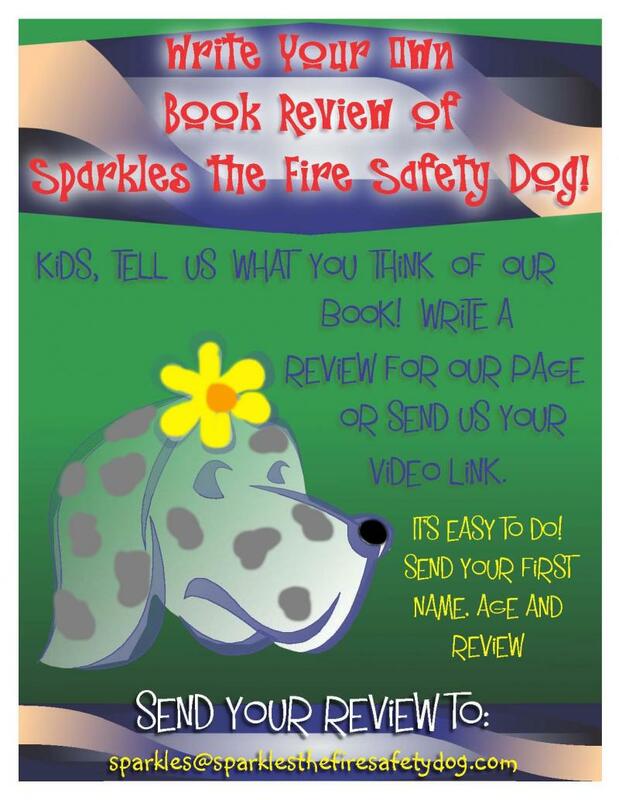 Thank you for agreeing to write a review of Sparkles the Fire Safety Dog. Please click HERE to find the review form. We can't wait to read all of the reviews that come our way! Submit a review and receive a special coloring page from Sparkles!